Super Gambler Roulette sits at the top of my personal most played list. 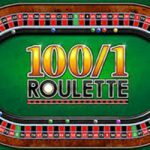 It’s depth of graphics and realistic spin give a better sense of playing roulette that some of the more basic bookies roulette games with their flatter profiles. Featuring on the casino pages of Coral and Ladbrokes betting terminals, Super Gambler Roulette provides a standard roulette game with an additional, optional bonus gamble on any winning outcome. Unlike Key Bet Roulette, the bonus gamble can’t be turned off, it is on by default however you do not need to use it, simply collect each win if you so wish. 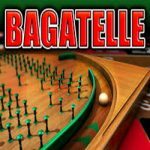 Playing Super Gambler Roulette is simple, and as there are no bonus games, the odds stay true to traditional roulette. Simply place your chips from 25p up to £13.95 per number, not exceeding the £50 or £100 betting limits, then press spin. The animations are pretty good, although anyone who has played this a bit will begin to recognise where the ball is going to land. When the ball stops, you are paid any winnings at 36/1 for a straight up number, or even money for a 50/50 bet. At this point your winnings are carried over to the Super Gambler Roulette gamble round. 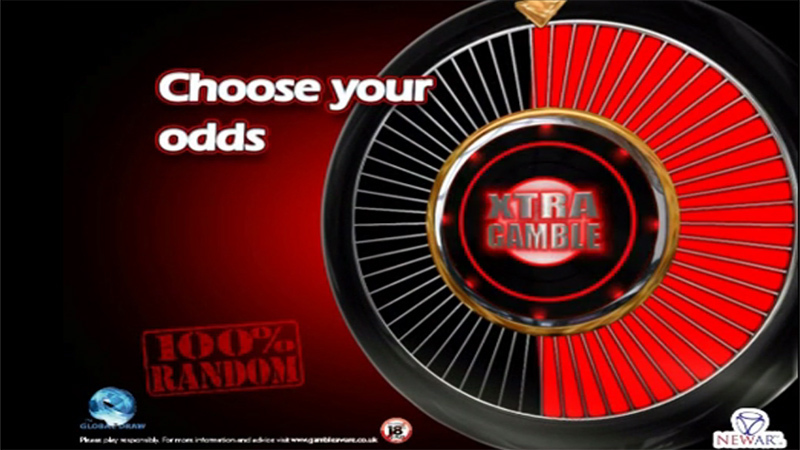 The gamble features a large wheel with a default of 6/3 odds, however the odds can be changed or moved to allow for a full gamble up to £500, or part-collected or fully collected between any game. The Super Gambler Roulette gamble is true odds, and what you see is what you get, however the odds are slightly in the games favour. This combined with the roulette game also been in the games favour makes for a pretty bad overall odds, but it is fun. Offering tips on Super Gambler Roulette would be the same as offering tips on casino roulette. As the game is random, there is no strategy, just luck. However, try to avoid covering the entire table with bets, as this is pointless and reduces any potentially large wins to virtually nothing. The bonus gamble is good fun, and is a good way to gamble your winnings to large amounts should you have the nerve. The gamble is actually pretty similar to Rainbow Riches. Change the odds to increase your potential prize on the gamble. The bonus gamble has bad odds.